Santorini is officially known as “Thera” and is said to be one of the most magical and “must-see” vacation locations on earth. The island itself is shaped like a crescent, and was born a thousand years ago from a strong volcanic eruption. Its remarkable beauty, spectacular views, breath taking sunset and memorable landscape makes it suitable for everyone who wants to experience a luxurious vacation. The island, which is located in the Aegan Sea about 200km south-east from Athens, Greece, is surrounded by small towns and villages. Most of its buildings are colored with their iconic dazzling white buildings and bright blue domes. There are many things to experience and places to stay in Santorini, including many luxury hotels. Each of these hotels have customers who keep coming back year-after-year. When choosing your luxury hotel in Santorini, make sure it has a room that is facing the ocean at sunset. 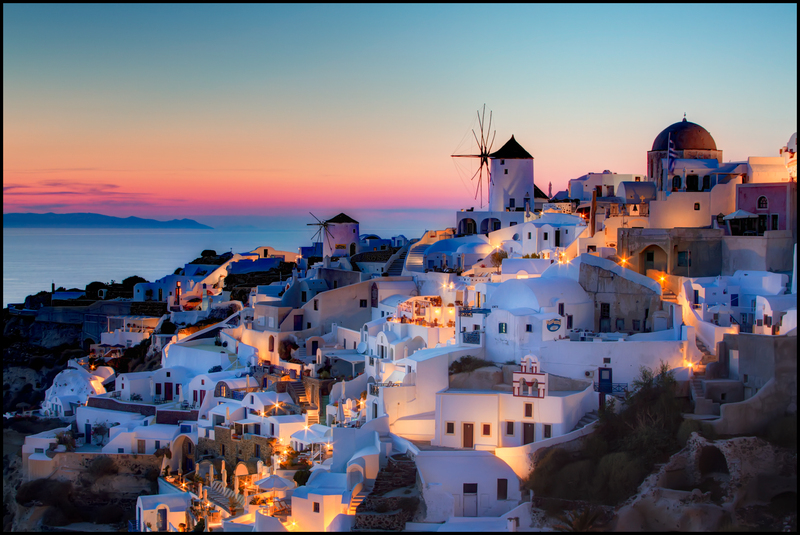 The number one reason why Santorini is considered as an excellent destination is because of its sunset, and it would be a tragedy to miss it. Most of the luxurious hotels in Santorini are situated in the villages of Oia and Fira, both villages offer fabulous views over Caldera. Whichever luxury hotel you stay at in Santorini, each own a prime location to view the Volcano and the spectacular sunset over the Aegan Sea.